Although I didn’t know him, I am still saddened to learn of the death of fellow New Yorker Jim Carroll. Best known as the author of “The Basketball Diaries”, Mr. Carroll was a poet and a punk rocker in the true NY sense. I loved his song, “People Who Died”, and now, sadly, he is among the ones he wrote about many years ago. His life and career crossed paths with legends in both the musical and artistic worlds, such as Patti Smith, Keith Richards, Andy Warhol, Robert Mapplethorpe, Allen Ginsberg, Jack Kerouac, Allen Lanier, Lou Reed, John Cale, Boz Skaggs, Ray Manzerik, Pearl Jam and more. Here is a video of his most well-known song, “People Who Died”. 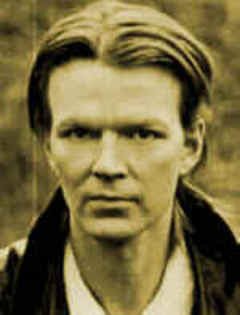 Tags: Jim Carroll, Legends, musicians, New Yorkers, obituary, R.I.P.